Thanx again for displaying such a great icon. Also for various info I didn't know about The King of Pop! Suprised by closing with Destiny, been years since I've heard that track, great choice! Amazing show guys, keep up the good work! As always, this was a great show and very entertaining. A very insightful look at the King of Pop. Thanks and keep up the good work. Great ! Thx a lot ! R.I.P. bro you'll surey be missedlGood job on that "No Diggity" remix. Thanks, love your abilities to make it flow! RIP Michael. You guys never cease to amaze. I LOVE when Duke and Ron stop by and drop crucial knowledge and history about the roots of the best music in the world! This is even better than the Minneapolis show which was siiiick! RIP Mike Jack. We love you baby. noticed Q-Tip Used a "dancing maching" sample on his last album? you are championstyle!!! thanks and peace from germany! best radio station ever tx from germany! Man! I have heard many MC's, many DJ's but you guys are always getting me twisted....tying my stomach into many knots!! Much love from COOLIN N CALI, Bbaabbbbbbyyy!!! awesome mix guys! Always love listening to Duke Eatmon as well. also... is the beginning of 'destiny' the sample for david banner's 'cadillac's on 22s'? Thx for getting the MJ show to the internet so fast! Y'all are clutch! MJ will forever be in our hearts. thank you for the show! R.I.P. and he will still be alive in our soul forever definitely. Wicked Mix. MJ's early stuff was easily the best. Big-up from Liverpool, UK. Rest in Peace... one of the best artists ever. Peace to the king ! We funk forever ! Thanks so much for the incredible show. 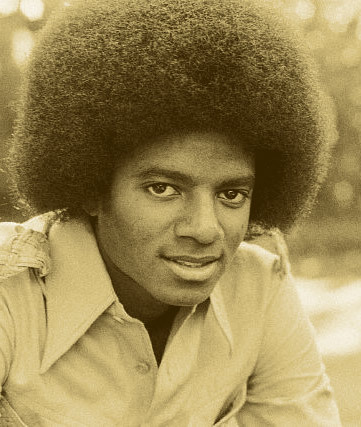 I love WeFunk and I think you guys are sincere in your tributes esp to the King of Pop - MICHAEL JACKSON!!! glad to played some of MJs stuff from the new jack swing era. Teddy Riley and MJ were a force to be reckoned with! amazing tribute. It’s sad to see MJ go. Yet very interesting how so many people are celebrating him but when he was alive so many judged him. MJ was our Elvis Presley rest in peace MJ. I knew y'all would come through like no other. every dj and there mama got a michael jackson tribute mix, but this is one of the few that's actually done right!!!!! Nice tribute and balance to the mix for all of Michael's variety of sounds. Cheers! I was waiting for the guys from my favourite radio station to do a tribute show, I look forward to listening to it. DJs & GUESTS DJ Static, Professor Groove, Duke Eatmon, Ron Maskell, Karma, Incksalonius / RECORDED June 26, 2009 / HOSTING PJ, Mike, Oliver & daduke. You can help too!